Missing out on sleep during weekends is generally not recommended, unless it can land you a dream job. The students who participate in hackathons have woken up to this reality. 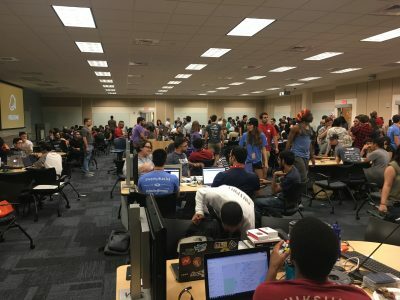 The 36-hour hackathon hosted by FIU Feb. 24-26, with tropically accurate name MangoHacks, is an annual event that brings students from across the nation, in various disciplines, to work together. This year, more than 250 students made their way to FIU Tech Station, where the event took place. The event also features free talks and workshops from beginners to expert level. MangoHacks attracts mentors and sponsors who assist participants, and provide them with necessary tools, to collaborate and innovate on ideas. The students work almost non-stop while also making sure they have fun, which requires neither assistance nor tools. “I have a job because of this hackathon [MangoHacks]. 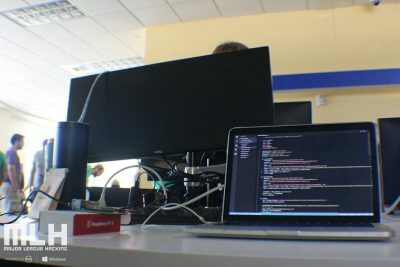 Everything I do at work I learned mostly from hackathons,” said Joannier Pinales, a senior studying computer science who works part-time for SmartProcure, a procurement intelligence platform for government agencies. “Classrooms are good, but they don’t force you to work like hackathons do. You are less afraid and more social –working with people, which is how it’s out there,” he added. 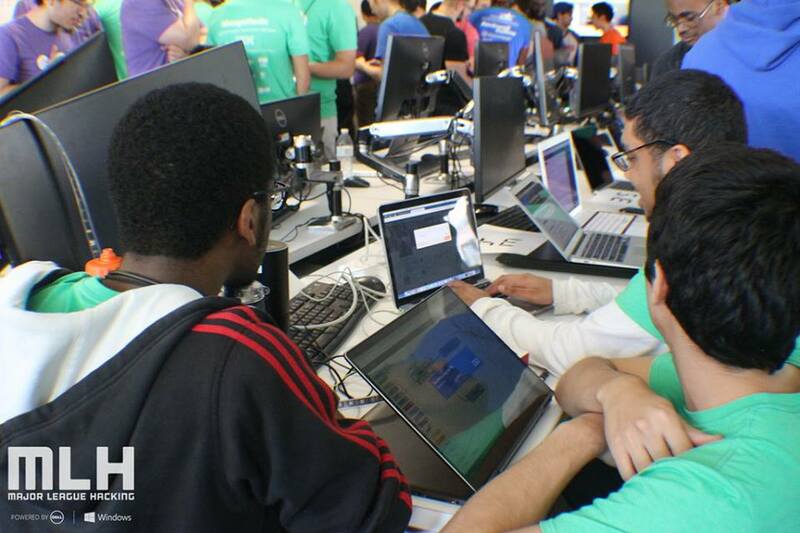 Students attending hackathons come out of the shell in which they tend to operate during college. The event encourages, and even rewards, students to connect with peers to solve problems—a skill that is highly valued in any industry. Hackathons provide concentered scenarios of real-world jobs. Excelling at these events not only builds confidence, but also makes participants better candidates for prospective companies. Unlike academic classes, the scope of the project at hackathons is not restricted to students’ fields. The teams end up having members from different disciplines. This facilitates interaction that breaks stereotypes, which graduates from one field generally hold about the other and carry it into their future workplaces. “I got an internship with Apple, and a full-time job offer, because of a previous hackathon elsewhere,” said Alastair Paragas, a senior studying computer science, whose team built an application to contact medical personnel when a person undergoes a medical emergency such as a seizure. Part of the same team is high school student Gabriele Saraceno. “Building incredible projects under immense pressure is a sure way to be noticed by companies, imagine what we can do given more time,” he said. Participants often come back as crew or mentors as their way of paying it forward. Madison Pfaff, a mentor currently employed full-time with GolfNow, an online booking service for golf courses, credits mentorship for contributing to her own development as a professional. “It’s quite humbling to be able to teach and learn from someone who came after you,” Pfaff said. Another mentor, Matt O’Hagan, senior at Florida State University (FSU), said that learning goes both ways and that mentors equally benefit from hackathons as participants. “FIU brings a lot of hype to Florida hackathons via MangoHacks,” he said. MangoHacks is a student-led event; the organizing crew is made up of former participants such as Ashley Narisse, currently employed at Ultimate Software. Students are able to relate to the crew’s past, which helps them prepare for the future. “Stagnation is death! Things are always changing, and if you don’t keep up with the latest in technology, you can go obsolete,” said Narcisse who believes hackathons are a great way to stay current. It’s not just students who benefit from these events. Many companies sponsor hackathons across the nation with an intention to coach and recruit talent before they graduate. IBM, JPMorgan Chase & Co., Ultimate Software, StartUP FIU, and StateFarm were some of the sponsors for MangoHacks 2017. “Sponsoring these events helps us in two ways: it serves our recruiting channels and it provides a platform to introduce ourselves to the students,” said Mike Forest, an executive director at JPMorgan Chase. Forest also noted the importance of presenting oneself at interviews—a skill that company sponsors were prompt to provide feedback on, along with resume critique and other tips. Ron Felice, an automotive industry architect with IBM, said that offering students access to the latest tools, like the ones they use at Fortune 500 companies, allows them to start thinking about implementing solutions to real world problems before they graduate. “It also helps us in our outreach efforts. We want people to think of us as a socially conscious company that is a leader in technology and innovation, and not just the company that made typewriters,” Felice said. MangoHacks is one of the many events associated with the School of Computing and Information Sciences (SCIS), part of the College of Engineering and Computing, which prepares students for the job market. The school conducted a survey of Spring 2016 graduating computer science students. Among them, 87 percent were employed within six months of graduation. And for the 64 percent willing to share salary data, the average starting salary was between $50,000-$60,000. Steven Luis, director of IT & business relations at SCIS, believes the popularity of learning events like hackathons and other innovation challenges will only improve these numbers. Valeria Siegrist, former student director with StartUP FIU, understands the value in being able to take your idea beyond hackathons. “Engineers create the products we love; entrepreneurs know how to market them,” Siegrist explained. 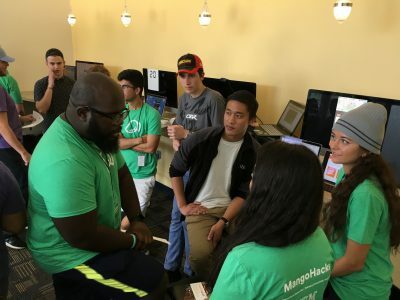 StartUP FIU brings the entrepreneurial side to MangoHacks and connects the engineers with business minds. A common displeasure expressed by the hackathon community is the negative connotations that the words “hack” or “hacking” carry, thanks to Hollywood and science fiction; people think of an act to break into someone else’s data. The reality of hackathons cannot be any more different. The skillset that these events require of students not only helps them prepare for the job market, but might also end up making the world a better and a safer place as a result.